A clear message travels faster. If you want to create the opportunity for serendipitous referral moments, what you have to offer has to be easy to understand. You have to be able to communicate what you do, for whom you do it, and how you do it, why you do it, and where you do it in a succinct word package. Then you will be able to attract your ideal customer. Often, you need an outside eye to help give you clarity about yourself. To break down this idea further, I’ve brought on author, speaker, connector, consultant, and “King of Clarity” Steve Woodruff. Steve helps individuals and businesses discover their professional DNA, define their offerings, target their ideal clients, and articulate their differentiating message in less than a day. Clarity is the thing people need the most but it’s the hardest to sell. To learn how clarity will make your message “human ready,” download this episode now. You can’t read the label of the jar you’re in. None of us can be objective, and it’s very helpful to get an outside voice to help you see clearly. 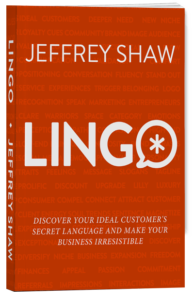 If you can get a clear message across to your audience, they will be able to refer you. The goal of clarity is to distill it down to that first moment of truth: what do you do. The second moment of truth is when they refer you to someone else. The “Bullseye Customer” is the exact person who is right for you. “Memory Darts” go directly into the mind of the person you’re talking to and stick there. Clarity Wins: Get Heard. Get Referred.